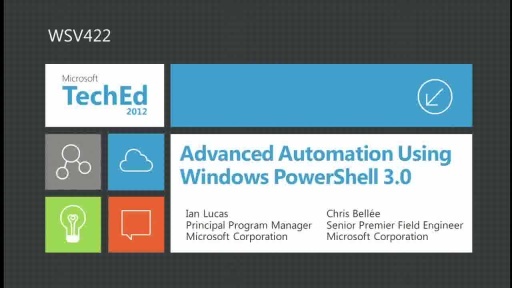 In Windows Server 2012 we take a huge leap forward in the ease of leveraging the value of Server Core. This session details the flexibility you can enjoy by seamlessly moving between full GUI, Server Core or Minimal Server Interface installations. We will discuss new deployment options for Windows Server 2012 and its roles and features, including the ability to minimize server footprint using Features on Demand. By understanding the choices you now have, we will provide you with practical ways to design your deployments and plan your ongoing management.